Ever wonder where PWI gets the inspiration from to name their invitations and programs? Well, if you haven’t already guessed, they are named after women of the Bible. From Queen Esther to the loyal Ruth and Naomi to the mother of John the Baptist, Elisabeth, these illustrious and fortuitous women of the Bible inspire our lives daily and we thought it only fitting that we honor their devotion to the will of God by naming our most unique products after them. We consider it a privilege to be divinely inspired by God to have designs that are worthy of being called The Rachel, The Hannah, or The Sarah, just to name a few. We hope that you too are encouraged when you see their names appear on your invoices. With that being said, however, there are two items that are named not after women of the Bible, but after two of our blissful brides. We experience such joy serving couples as they prepare for their special days and often times are just as inspired by them as they are with us! Two such brides are Lydia and Lauren. We met Lydia in the Winter of 2005. She was preparing for her wedding in May while also preparing to graduate from medical school the same month! It was indeed our pleasure to share with Lydia on numerous occasions and provide her with the best service to make sure that she could enjoy both events to their fullest! 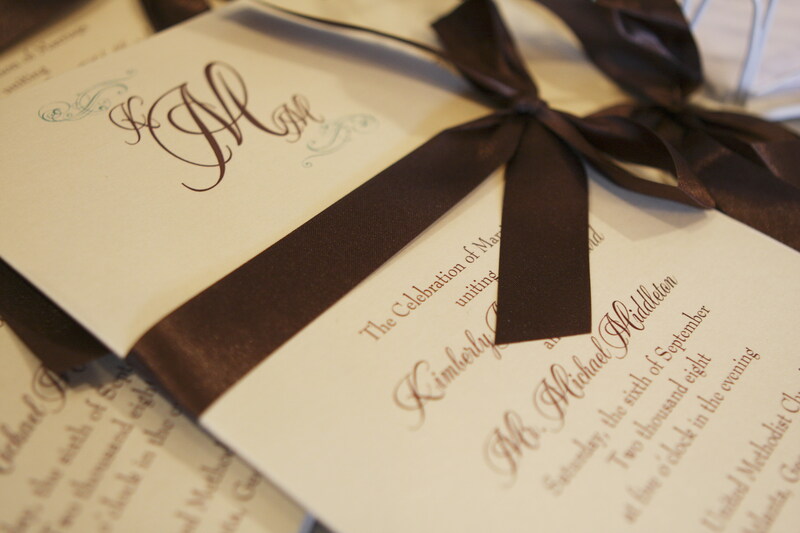 The program we designed for Lydia is simply elegant. 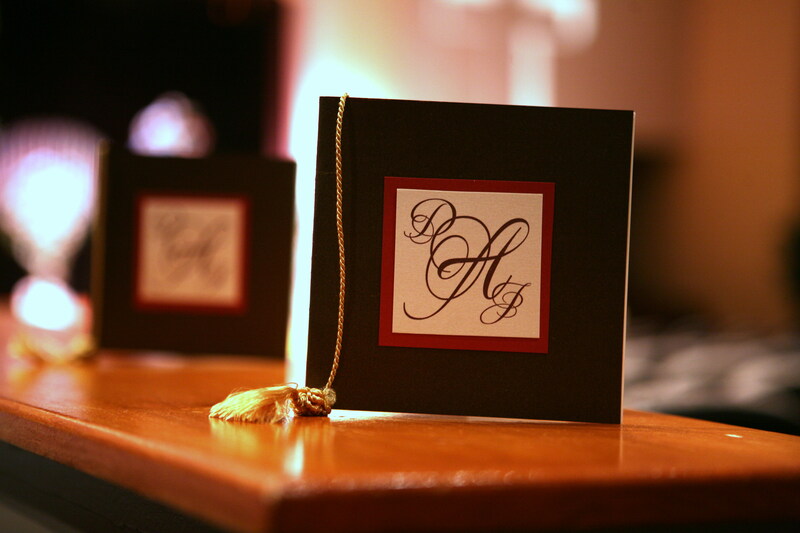 It is a bi-fold wedding program that has a simplified design, but that exudes the happiness of the occasion. “The Lydia” has become one of our most popular style programs and can be enhanced with ribbon! Another one of our brides, Lauren, is our other namesake that is not found in the Bible. We met Lauren and her fiance, Kenneth, in the summer of 2007. We met them just a few weeks prior to their wedding, but it felt like we knew them from the beginning of their engagement! From the ideas that Lauren had about her program and from the love that the two of them shared, we designed “The Lauren”. 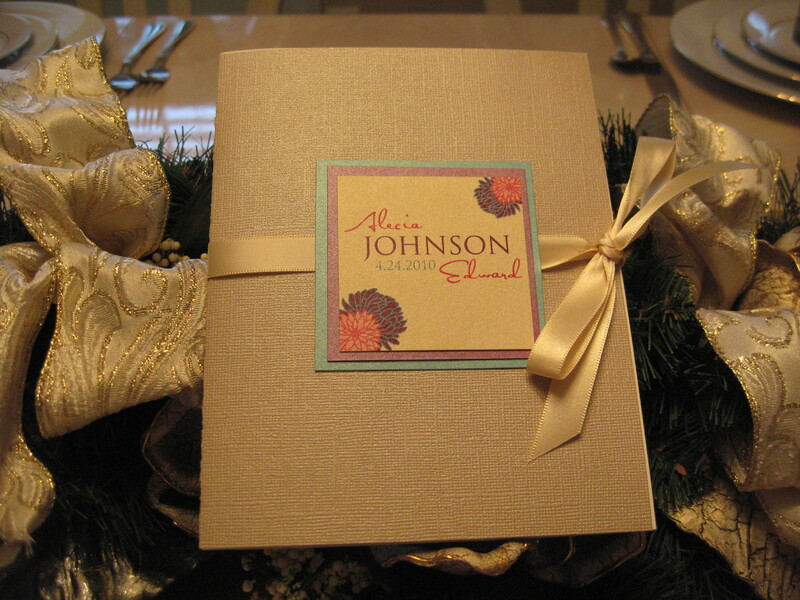 This is a program that is a bi-fold by nature, but is distinguished by a cover with a nameplate, a tassel, and a picture of the lovely couple printed on translucent on the inside. This program design is beautiful no matter what the color scheme. 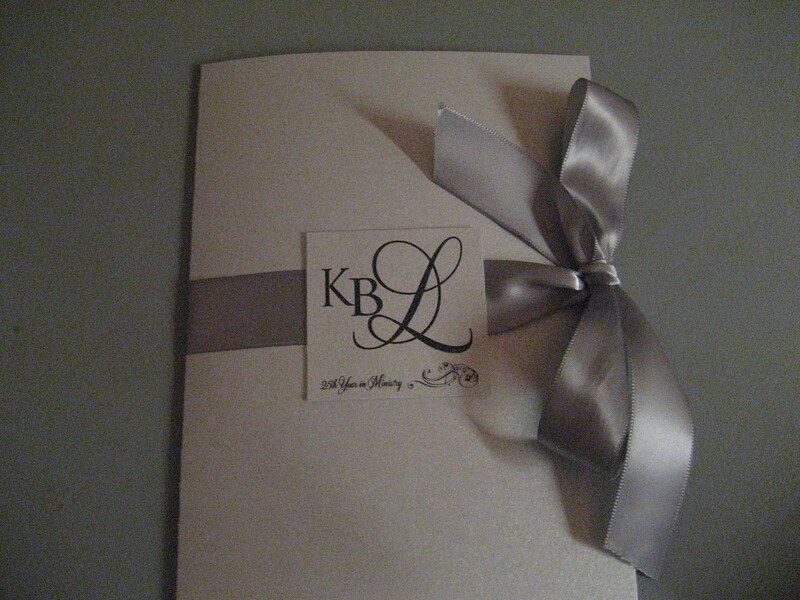 “The Lauren” is another very popular program design. Thank you again to Lydia and Lauren for helping us to create wonders for you! May you both enjoy long and blessed marriages. What invitation/program will you inspire? ← PWI Rocks The Fox!